Hailing from Corning, Suzy is a graduate of Corning Community High School and received an Agriculture Production Technology degree from Southwestern Community College in Creston, Iowa. She is employed at United Farmers Mercantile Cooperative in Red Oak, Iowa, as the Companion Animal and Equine Feed Specialist selling Purina Mills Feeds. She is the daughter of Bobette and the late David Fife. A classic country girl, Suzy enjoys a multitude of outdoor activities including hunting, trap shooting, and fishing. Suzy is a competitive amateur golfer playing on several lady's leagues and in benefit tournaments. An avid horsewoman Suzy participates in team roping and barrel racing and enjoys leisurely trail riding along Iowa's back roads. While in high school and college she was a member of her local FFA chapter, the Happy Go Lucky 4-H Club, Block and Bridle, Ag Club and rodeo club. Giving back to her community is important to Suzy and she regularly volunteers for Toys for Tots, Relay for Life and the American Red Cross blood drives. She is a member of the Happy Hollow Country Club, Corning United Methodist Church, the local P.E.O. chapter, the National Barrel Horse Association and the Lenox Stock and Saddle Club. 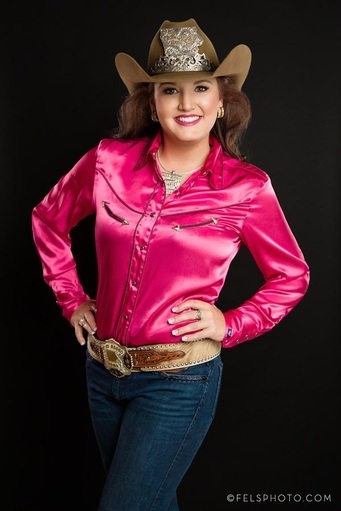 Suzy held the titles of Miss Teen Rodeo Lenox and Miss Rodeo Lenox and currently assists with the pageant coordination. "It is an opportunity of a life time to earn the title of Miss Rodeo Iowa 2014. My goal is to share my passion for rodeo and our western heritage while serving as an ambassador for the state of Iowa. It has been my dream for many years to hold the title of Miss Rodeo Iowa, and I am looking forward to sharing my passions with those I meet during my travels."